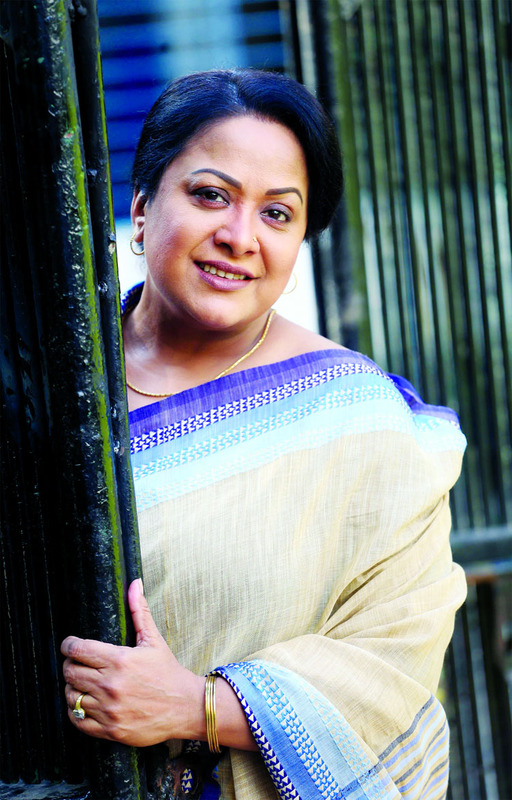 Aruna Biswas is a noted actress in the countryâ€™s film industry. Now she has been acting not only in movies but also in the small screen. In special days, she also makes dramas. In the beginning of New Year, she acted in Arun Chowdhuryâ€™s movie Mayaboti. In this movie, she played in role of National Film Award winner actress Nusrat Imrose Tishaâ€™s mother. She has already finished shooting of the movie. In last Victory Day, Aruna Biswas acted in Habib Shakil directed a special play titled Baba Ashben which was aired on Ntv. Therefore, under her direction a play titled Joynab Bibi was telecasted on Channel i. She acted in the title role in this play. Aruna also informed that during the Liberation War in 1971, Aruna was a student of Bharateswari Homes of Mirzapur in Tangail. Pratibha Mutsuddi was Headmistress of Homes during that time. She is now working as a retired teacher at Kumudini Welfare Trust. Aruna went to her to hear stories of Liberation War in the month of Victory.